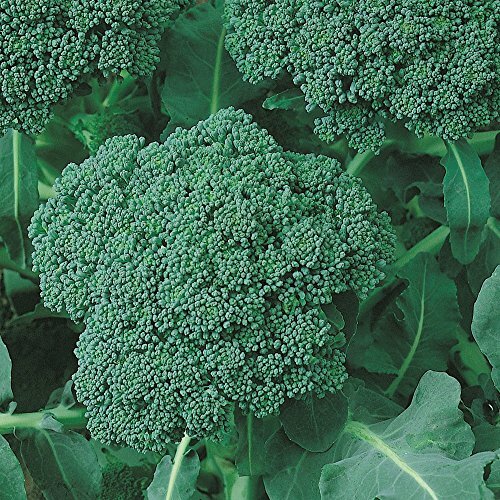 Broccoli tops the list of vegetable garden favorites, and it’s easy to see why. Delicious and nutritious, with a satisfying texture, this is a standby in a variety of cuisines. And it’s easy to grow in the home garden. These Old World cabbage relatives come from Mediterranean and Turkish regions, and have been a cooking staple in Italy since early Roman times. By the eighteenth century, US farmers were cultivating spring and fall crops in temperate zones. 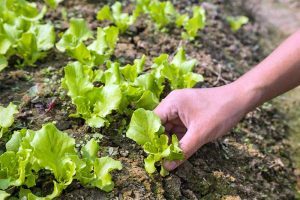 This cool weather crop can be sown in early spring, mid-summer, or even late fall, with an array of choices for zones 1 to 11. 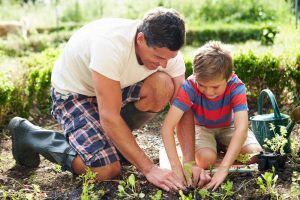 Now it’s your turn to try this nutritious vegetable in your garden. 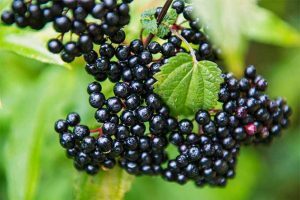 Read on to discover ten outstanding heading varieties, plus three non-heading gourmet favorites. 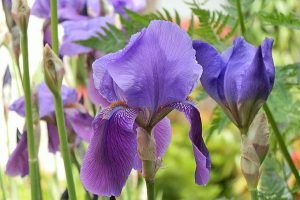 Here are ten choice cultivars to sow in your garden this year. Please note that the number of days to maturity are approximations and apply best to spring harvests. Fall and winter crops may take longer. 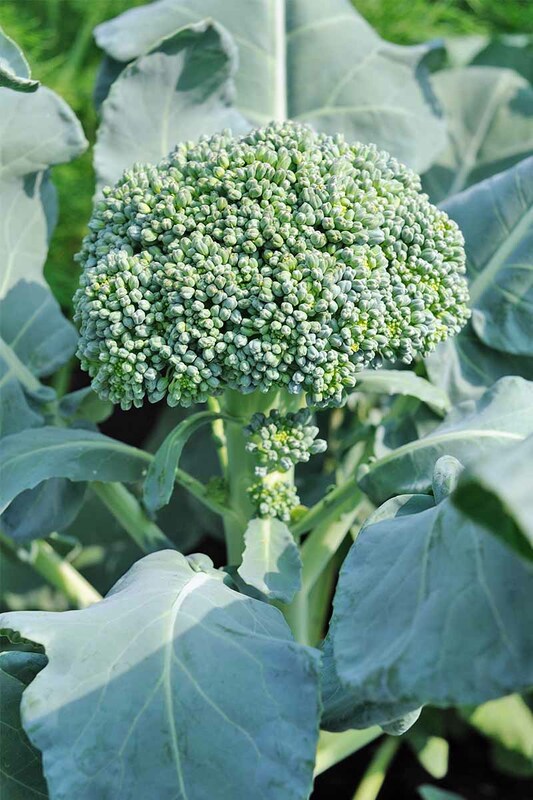 After you meet these stellar plants, we have three interesting broccoli “cousins” to tell you about, so read on! ‘Belstar’ is a hybrid variety that is known for growing well in the south in the winter. With six-inch blue-green heads that reach maturity in about 65 days, this crop can be grown for harvest in both the spring and the fall. Compact and heat-tolerant, this variety is also known for good production of side shoots after the initial crowns are picked. Packages of 500 seeds are available on Amazon. Includes a free plant marker as well! ‘Calabrese’ is an heirloom variety, and a prime selection for zones 3 to 10. It’s an old Italian type that produces medium to large green heads. 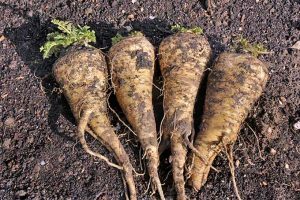 This variety matures in about 65 days and is renowned for its prolific sprouting side shoots following the first harvest. ‘Calabrese’ seeds are available on Amazon in packages of 500 seeds, 1-ounce, 1/4 pound, or 1 pound. They are non-GMO (not genetically modified) and “gold-vault” packaged for immediate use or long-term storage. ‘Destiny’ is a hybrid that has been bred for exceptional heat tolerance in zones 7 to 11. It produces small to medium green heads tinged with purple in 70 to 75 days. ‘Destiny’ seeds are available from True Leaf Market in quantities of 15 or 1000 non-GMO seeds. This is an Italian heirloom suited to zones 3 to 10 that produces small to medium blue-green heads of non-uniform maturity. 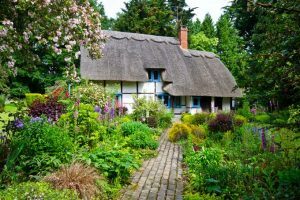 This means that plants will produce heads at different rates, which is nice for a home garden. Expect to see your first mature heads in as little as 50 days, with more to follow from energetic side shoots. ‘DiCicco’ seeds are available from True Leaf Market in packages of various sizes. They are certified organic, and non-GMO. 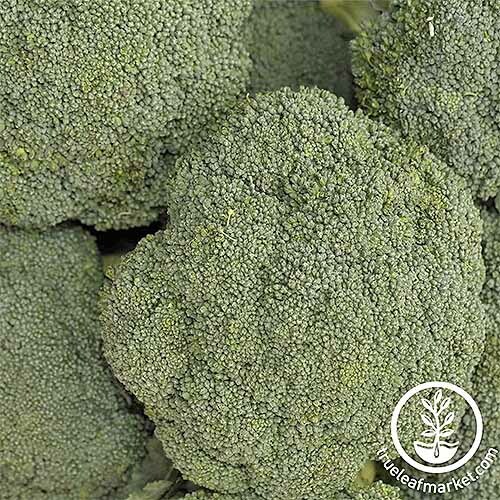 This heirloom provides a bountiful harvest with its extra-large bluish-green heads and ample side shoots. 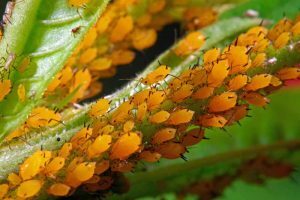 Great in zones 3 to 10, it matures in a non-uniform fashion, so that instead of all plants having a main head ready at about the same time, each matures randomly over a period of several weeks. Organic ‘Green Goliath’ seeds are available on Amazon in packages of approximately 100 from Blu Seeds. ‘Green Magic’ is a hybrid that grows best in zones 3 to 9. 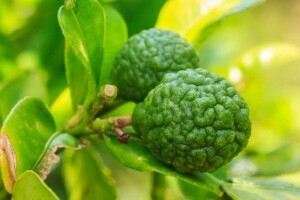 It has been cultivated to achieve excellent heat tolerance, as well as smooth, “well-domed,” medium-sized heads. Blue-green in color, this type is said to have a unique buttery flavor. Expect the first mature heads in approximately 60 days. ‘Green Magic’ is available on Amazon from David’s Garden Seeds in packages of 100 non-GMO seeds. This is a very cold-hardy heirloom with multiple small purplish florets instead of a single large main head. 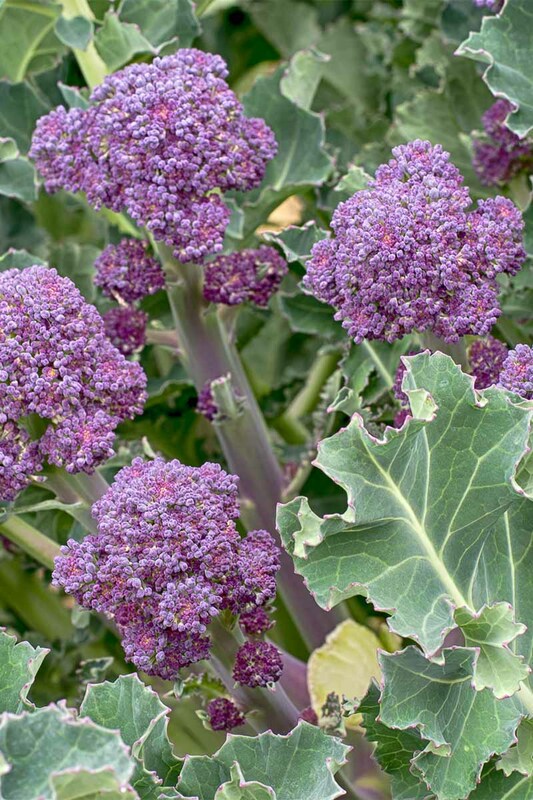 ‘Purple Sprouting’ is suitable for zones 2 to 11, and in areas without harsh summers or winters, you may be able to plant in early spring, mid-summer, and early fall, for three successive harvest periods. 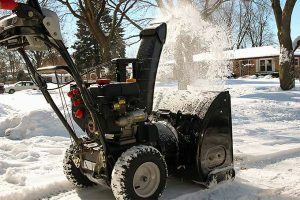 Its ability to “winter over” and come up in early spring is a noteworthy feature. Like the broccoli “cousins” we’ll discuss shortly, you may serve the florets with leaves and stems attached, as all are quite tender. Also, don’t be surprised when the purple turns to green during cooking! 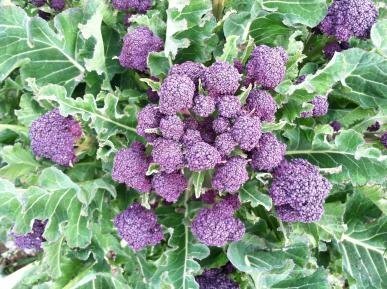 Organic ‘Purple Sprouting’ is available on Amazon in packages of 100 non-GMO seeds. 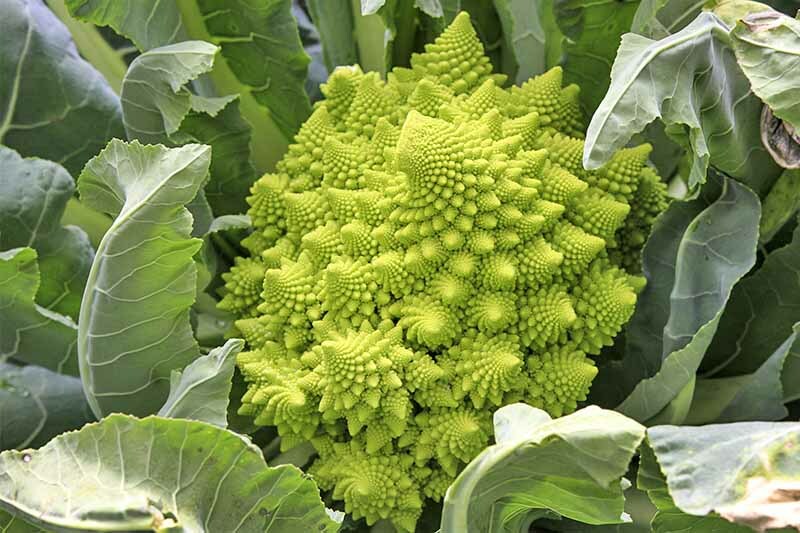 This ancient Italian heirloom boasts unique chartreuse pointed spiral florets. Grow it in zones 3 to 10, but beware – it bolts at the slightest hint of high temps. 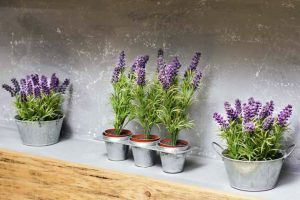 Start seeds indoors and get them into the ground ASAP in early spring, or sow in late fall, but avoid mid-summer heat. 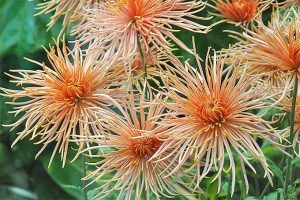 With a gorgeous texture like sea coral, it’s no surprise that this kind has an equally interesting flavor, best described as “nutty.” What a conversation piece for both the veggie garden and the dinner table! 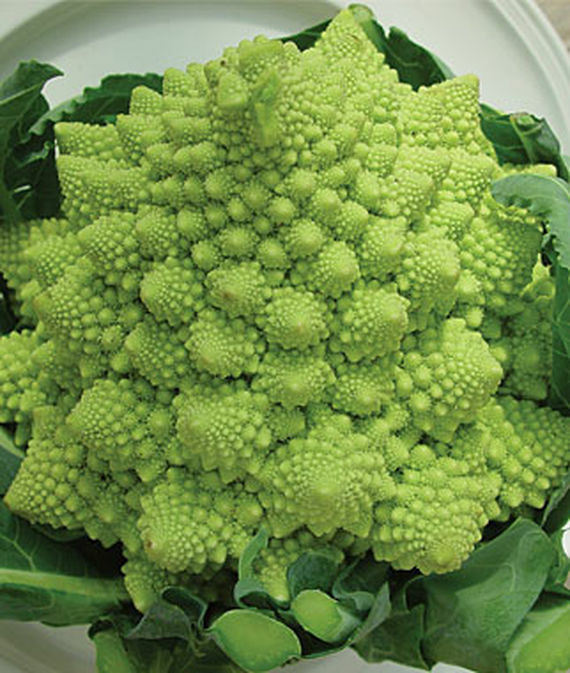 Non-GMO ‘Romanesco’ is available from Burpee in packages of 320 seeds. This cultivar is a Burpee exclusive that is known for its heat tolerance, and it can be grown successfully in all zones, from 1 to 11. Known for its delicious flavor, ‘Sun King’ will produce blue-green heads 6-8 inches in diameter, with plenty of side shoots. These will reach maturity in about 70 days. 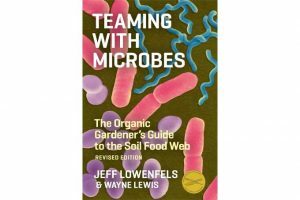 Packets of 400 seeds are available via Amazon. Seeds or packs of 6 live plants are also available directly from Burpee.com. This heirloom enjoyed by Thomas Jefferson is noted for its cold tolerance, large blue-green main heads, and proliferation of side shoots. Perfect for zones 3 to 10, it matures in a non-uniform fashion for continual harvesting throughout the growing season. Allow 85 days to reach maturity. Organic, non-GMO ‘Waltham 29’ seeds are available from True Leaf Market in quantities of 1 or 4 ounces and 1 or 5 pounds. Here are a few “non-heading” relatives with which you may be familiar. They are cool weather crops that mature quickly in most zones. 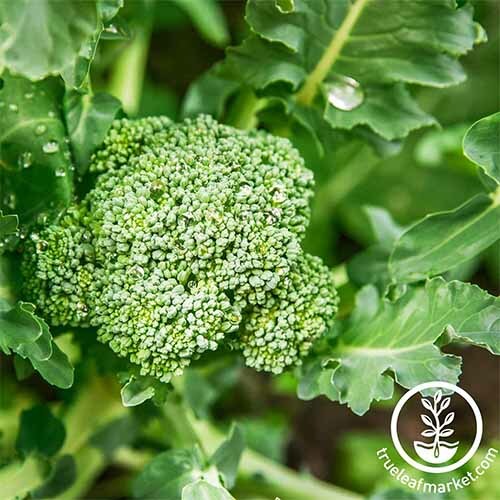 Another type of brassica altogether, broccoli raab (B. ruvo) is also known as broccoletti, Italian broccoli, rabe, and rapini. Its dark green leaves dominate slender stems with small flower clusters, and its taste is quite bitter. 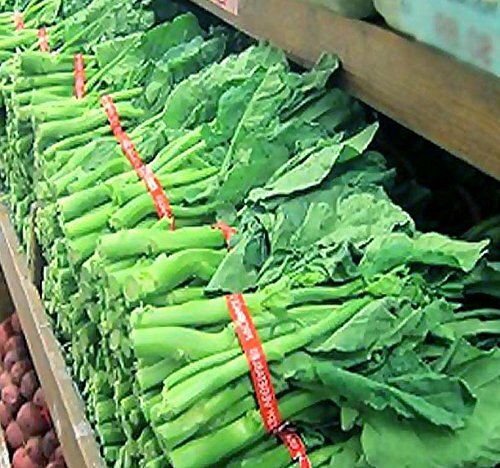 While resembling broccoli in appearance, botanically it is more closely related to turnips. Harvest stems with leaves and budded florets in 40 to 60 days, or when they reach about 6 inches in height. You will be able to enjoy multiple yields throughout the growing season. Raab ‘Del Trasimeno’ seeds are available on Amazon in packages of approximately 500. Heirloom Chinese broccoli (B. oleracea var. alboglabra) is also called gai-lan, jie lan, or kai-lan/kailaan. It, too, is leaf dominant, and boasts shades of glossy blue-green to dark green. Stems are thick, florets are small, and the taste is on the bitter side. Harvest in 50 to 70 days, or when stems reach about 6 inches in length and have budded florets. 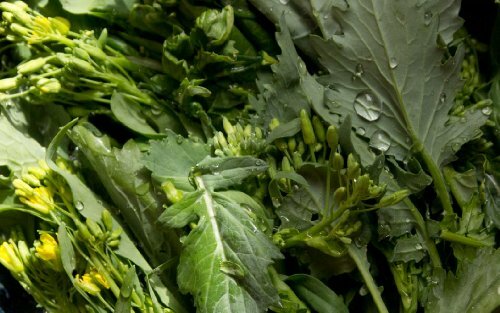 Gai-lan seeds are available on Amazon in big packages of 1500 – this is one to share with the neighbors! 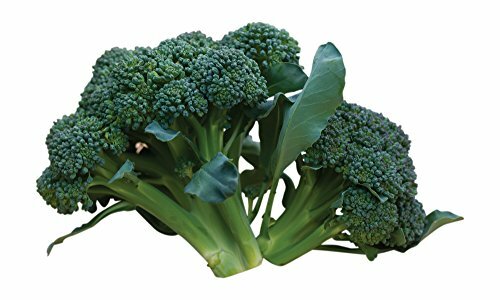 Broccolini (B. oleracea aspabroc hybrid) comes to us from Japan. 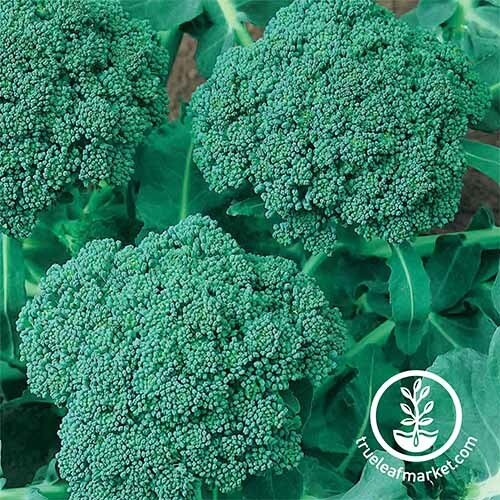 Though it’s sometimes confused for baby broccoli, it is actually a cross between broccoli (B. oleracea var. italica) and gai-lan (B. oleracea var. alboglabra) that makes for a sweet, thin-stemmed, dark leafy green with small florets. The name “Aspabroc” is derived from the unique flavor that resembles a mixture of asparagus and broccoli. Expect maturity in about 60 days. Harvest when stems reach about 6 inches in length, and before buds open. 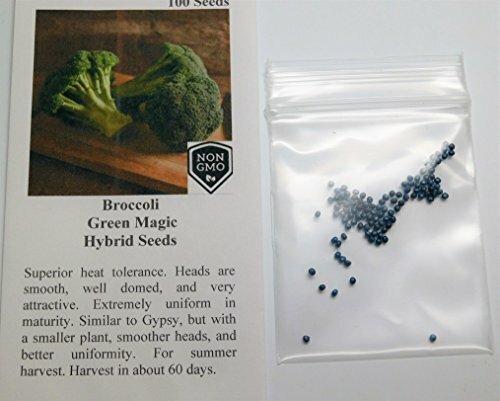 Non-GMO broccolini ‘Mini Happy Rich’ seeds are available on Amazon in packages of 100. 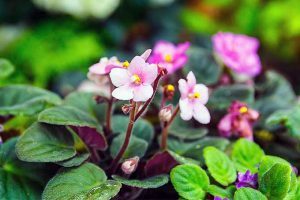 Though specific planting requirements can vary depending on your local climate, suitable cultivars are available for every region. Fresh from the garden, this is going to be one of your favorite crops to add to stir-fries, salads, side dishes, and more. 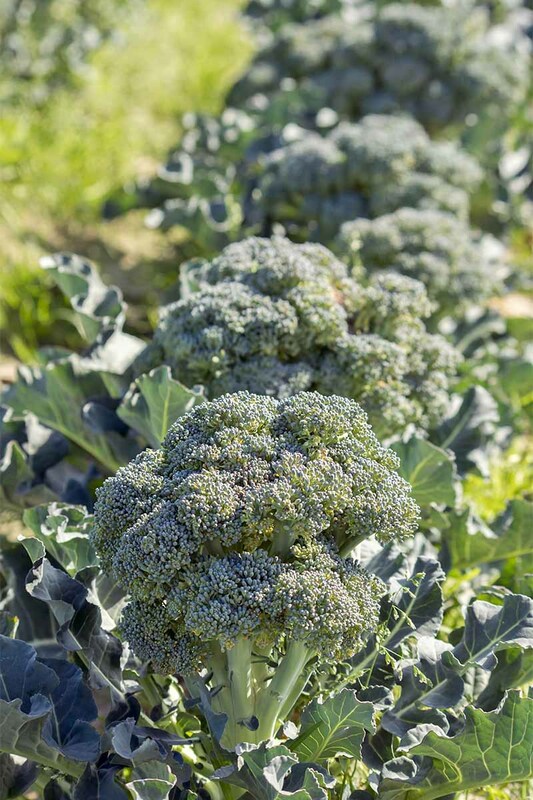 Ready to add delicious broccoli to your garden? What variety will you choose? Share your questions and stories with us in the comments below. We love hearing from you! 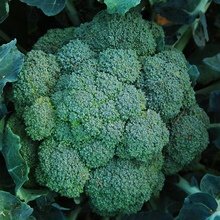 And for more advice on growing this nutritious cruciferous vegetable at home, read our full guide. Product photos via True Leaf Market, Everwilde Farms, Blu Seeds, David’s Garden Seeds, Harley Seeds, Burpee, Ohio Heirloom Seeds, MySeeds.Co. and Jays Seeds. Uncredited photos: Shutterstock. With additional writing and editing by Allison Sidhu.